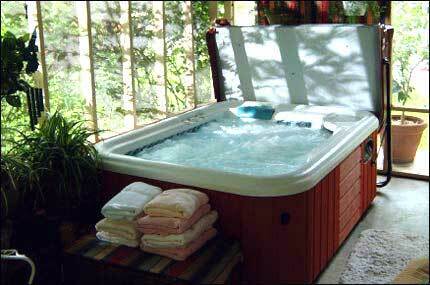 Granny Hein's private hot tub is located on an enclosed screened porch. No bath products in hot tub. 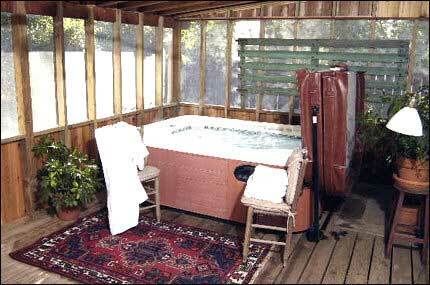 My Little House's private hot tub is located on an enclosed screened porch. No bath products in hot tub.